The New York Chapter is closed but its parent organization, the Media Communications Association International (MCA-I), and several U.S. chapters are still active. 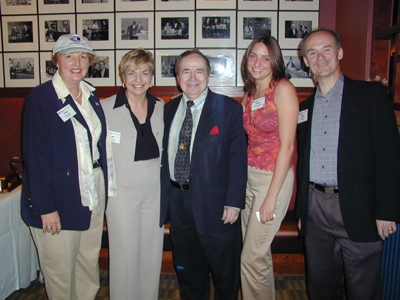 NY chapter president Emma Justice, NY board member and event producer Lee Spinelli, radio broadcaster Joe Franklin, and NJ board members Pam Rutherford and Mike McGrath enjoy the September 2002 NATAS/MCAINY kick-off party at Joe Franklin's Memory Lane restaurant. MCA-I is a community of professionals dedicated to the business and art of visual communication. Its members include producers, directors, writers, camera operators, technicians, industrial performers, journalists, publicists,graphic artists, programmers, and media executives. 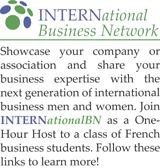 Founded in 1968 as the International Television Association (ITVA), and renamed the Media Communications Association – International in 2001, it serves a more diverse membership and touches many more industries than it did when it was originally formed. New technologies and the global marketplace have changed the communications industry dramatically in the past decade, and MCA-I has repositioned itself to keep pace with the times. MCA-I and its chapters continue to provide members with opportunities for networking, education, and career advancement, offering seminars, workshops, social events, screenings, publications, and strategic partnerships with other professional groups. Visit MCAI at http://www.mca-i.org and find a list of chapters here.